See author website for videos and teachers guides to use with this book. Not only a fabulous book to use when talking about inventions, it is also fab for demonstrating that failure is part of the creative process, and failure is OK as long as you don’t quit too soon. You did it! Hooray! It’s the perfect first try! Young Rosie was baffled, embarrassed, perplexed. “I Failed,” said dear Rosie. “It’s just made of trash. “Yes!” said her great aunt. “It crashed. That is true. 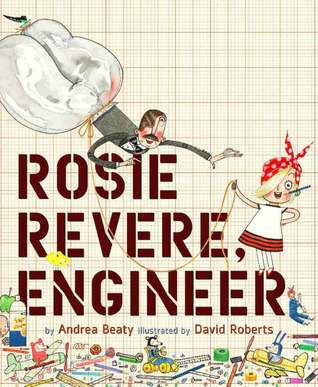 More importantly this is a book that demonstrates that girls CAN do anything! 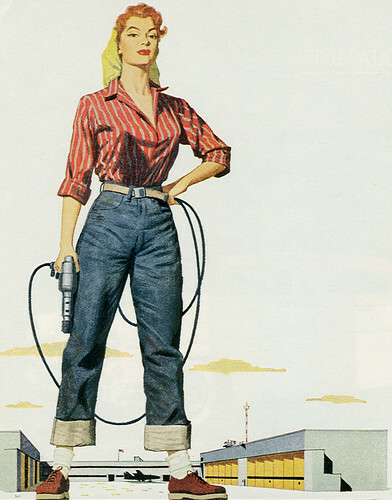 Drawing on the imagery associated with wartime icon Rosie the riveter, the book will be a great launch pad to talk about the roles women played in the Second World War and in the history and development of flight. For other books and resources including themed booklists (e.g. immigration, war and conflict), I do recommend the amightygirl.com website – it is a great antidote to the ‘princess in pink’ culture and has an abundance of book and film suggestions aimed at empowering girls. The booklists are helpful for inquiry generally, not just for issues about girls and women.